Today I’m going to show you exactly how we achieved free trials for a SaaS client for just $5.70 and acquired paying customers for $9.60 with retargeting. With a customer lifetime value in the high hundred’s for this product, the ROI is astronomical! And we were able to get these results by narrowing our retargeting focus to just 1 single page on their site and a sliver of their total site traffic. We were able to achieve these results with our Kick in the Pants Technique. This post will outline that exact strategy here. Your site visitors are not all created equal. 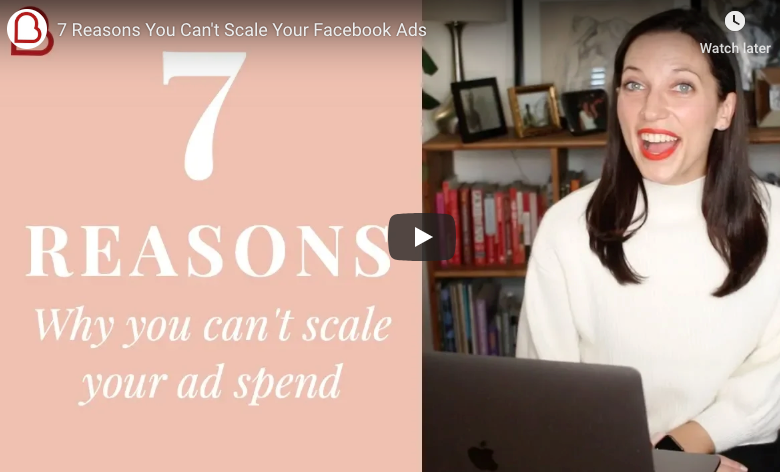 As I outlined in the 7 Must Have Retargeting Segments post, there are several segments you should be testing and then evaluating which one’s are most profitable for you. 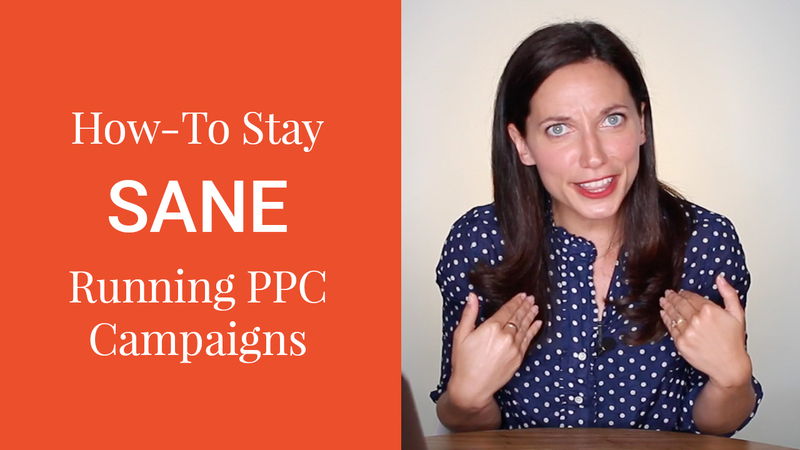 Today we’re going to focus in on just one of those retargeting segments. The one that recently delivered one of our client’s an insane ROI with paying customers for only $9.60 – for a $34/month product. How We used the “Kick in the Pants Technique” to generate 47 free trial signups for just $150. It’s called the Kick in the Pants Technique, because what we do is create a specific retargeting set for visitors who have been to your sign up, opt-in, or buy page but did not create a free trial, sign up or buy. And then give them a small kick in the pants to complete the sign up or purchase. If you are thinking about starting retargeting or you’ve tried it before unsuccessfully, start with this technique. Have you ever gone to a product’s website, checked out their demo and features, looked at their pricing – and then gone to the signup page. But then, either you got busy or second guessed yourself, so you didn’t go through with the purchase. Or have you ever shopped online, added a few items to your cart and then left the site. Sure you have, millions of people do everyday! 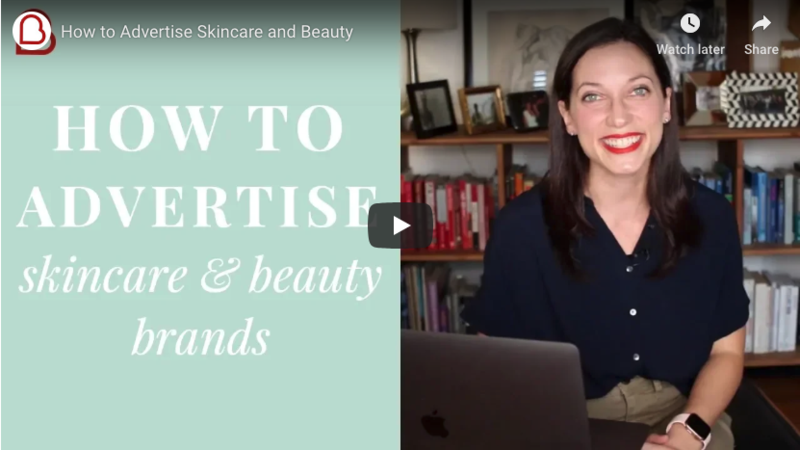 Well, what this content does is laser in on the people who’ve showed the most interest in your product, the people who’ve almost signed up – and focus your advertising on them and give them a little kick in the pants! Someone who’s teetered on the brink of signing up for your software or buying your product is a much more high quality prospect than someone who checked out your homepage for 3 seconds. They’ve stood on the goal line. All they need is a little nudge to help them finish the play! When most companies setup retargeting, if they do at all, they simply install the pixel on their site – and that’s it. No further segmentation. No strategy on targeting. I beg you to do it differently- that’s like installing a dishwasher but then insisting on washing every dish by hand. Stupid. 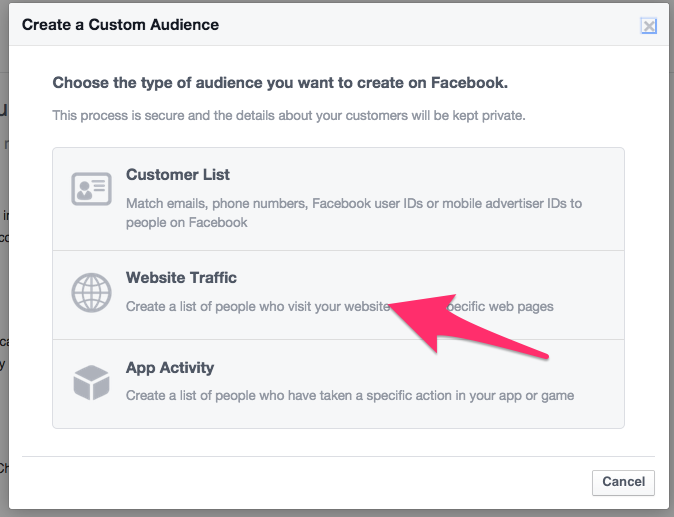 So I’m going to walk you through how to set up the pixel on your site and create the retargeting segment in Facebook, but the same general steps apply to any other platform. Login to Facebook and click on Ads Manager in the left hand side. Then go to Audiences, again on the left side. Click on – Create Audience, then Custom Audience and then choose Website Traffic. Then click Create Retargeting Pixel. Now you need to put this short bit of code in between the <head> and </head> tags of your site. You can do it yourself or send it over to your web team. Ok, now that the retargeting pixel is in place we can set up the Kick in the Pants segmentation. Now, what most people do is create a segment for all of their site visitors and leave it at that. But we’re going to go deeper. So go back to the Audiences page, and select Create Audience, then Custom Audience and then choose Website Traffic again. In the drop down, you want to choose: People visiting specific web pages but not others. This way we can tell Facebook to target people who’ve hit our signup or buy page, but did not go to our confirmation page. Meaning they went to the page but did not convert. This also keeps us from advertising to people who successfully signed up since we are telling Facebook to exclude those who went to the confirmation page. This keeps us from annoying customers and preventing wasted ad spend. Here’s how that looks within Facebook. 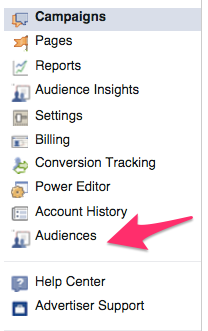 You’ll want to name this audience something so that you remember it when setting up your ads. Something like “Sign Up Page, Non-Converting” is what I usually use. Now we can setup our campaign. Conversion Tracking: If you don’t have conversion tracking setup on your confirmation page yet, you’ll want to do that next. Just go to Conversions, and create a conversion pixel. Then it’s similar to placing the retargeting pixel. Either send it to your web team to put only on the confirmation page or do it yourself. Then you’ll be able to see how many visitors from ads converted. Are you recognizing a theme yet? Cut down on wasteful ad spending whenever possible! When writing copy for these ads, its important to keep context in mind. You are writing for someone who has very nearly signed up or purchased, but backed away at the last moment. This means they have objections. Some kind of obstacles, you and they, need to overcome in order for them to feel comfortable and excited completing the process. “It’s too expensive.” Include an ad with copy about how much money or time your product has saved others. “It looks to complicated or difficult to use.” Include an ad with copy about how easy it is to use and how much more efficient it is than alternatives. “I’m not sure its a good fit for us.” Include an ad with copy on the terms of your free trial to reinforce that they can try it out with no risk. Learn more about ad copy specifics in this post where I analyze and re-write the ads of a few SaaS companies. Images make up the majority of the surface area of your ads. So it’s important to have images that attract attention – in the right way. Having photos of attractive models in your ads might help you get more clicks, but the wrong kind of clicks. Again, we’re trying to get conversions not just as many clicks as possible. Images of your product, office, team etc. Photos with text on top. Keep in mind that Facebook allows only 20% of an image to have text however, so don’t go to crazy with text here. 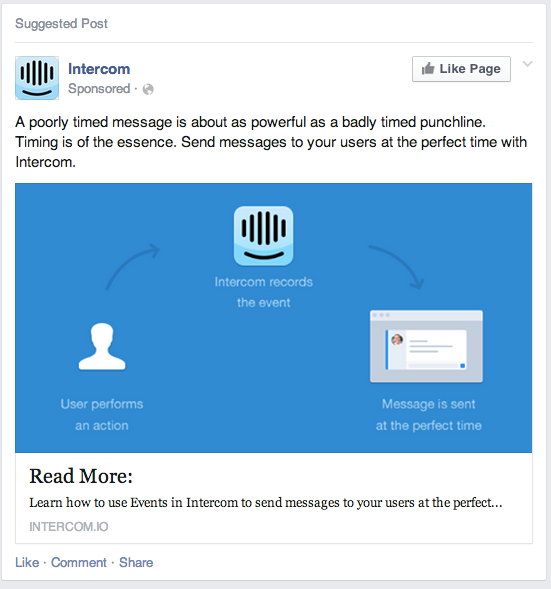 You can also go the animated route with icons and drawings like Intercom does here to convey the benefits. In my personal experience, I have seen standard photographs work the best. BUT that does not mean you shouldn’t test it out for yourself. My theory as to why the standard photos have been working best is because it looks more like an organic post – rather than an ad. It’s ok to try multiple options and versions because you are going to want to test your ads to see what yields the best conversions. We’ll cover that next. 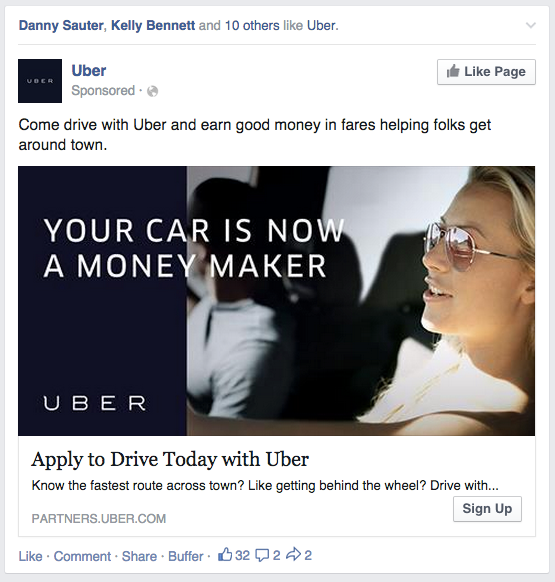 If you aren’t testing Facebook ads, you are tossing money into the streets. Again, our theme is running strong. Testing different copy, images and targeting will help you see what messages resonate and what audience responds the most to your product/service. Most importantly it will lower your cost to acquire a signup or customer. I’ve tested two ads with the same image and different copy and one has gotten twice the response as the other. I’ve done tests where the copy was the same in both but the image was different. And one dramatically outperformed the other. And I’ve done tests where the copy or images was different and it really didn’t make any difference. To test two ads, they need to be in the same ad set. This means that they’re targeting the same audience and are the same ad type (newsfeed or RHS). Or maybe we want to test whether an illustration graphic performs better than a screenshot of the software. We’ve created an ad set targeting people product managers and tech leads. In that ad set, we’d create the two ads. Keep in mind though you should only test one variable at a time, either the image or the copy. Now, you may think it’s as easy as launching the two ads and checking back in a week or so to see how they’ve performed. Unfortunately Facebook doesn’t make this super easy. On Google AdWords, there’s a great feature where you can tell Google to run your ads evenly. But not on Facebook. At least not yet. So what happens is as soon as one ad on FB starts to get a little bit of traction over the over, Facebook will tend to run that ad 90% of the time and your other ad around 10%. If you were to just set it and forget it, you’d find that Facebook didn’t even give one of your ads a chance to compete! What you’ll have to do is run 1 ad at a time. This way Facebook can’t jump the gun and play favorites. So what I’ll usually do is run 1 ad for a week. Turn it off. Then turn on the other one for a week. It’s important to let them run on the same days of the week in order to eliminate that as a variable. Your market might respond more to ads on certain days which could skew your results if you don’t run them on the same days of the week. Then after two weeks you can evaluate what your results look like. So how do we interpret the data? How do we determine a winner? 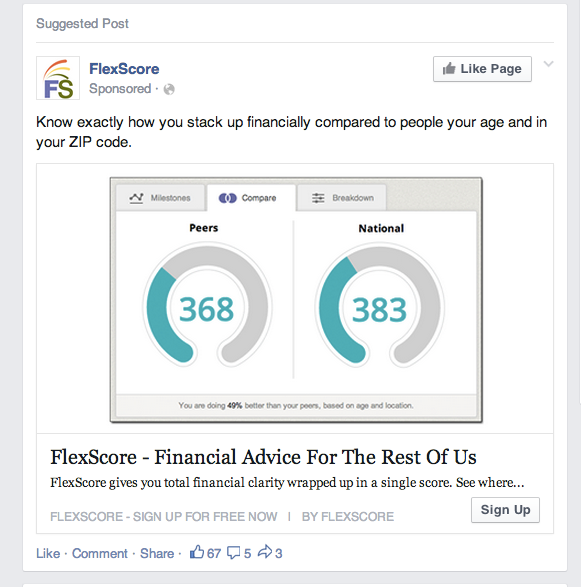 If you’re measuring conversions, you can see if one received more than the other. If you want to measure which one is going to get the best CTR over the long run, there’s a great tool at splittester.com. All you need to do is plug in your number of clicks and CTR for each ad and it will tell you how likely one is to outperform over the long term. Don’t kill off an ad unless you have a 95% confidence level. You can find more articles and resources on A/B testing here. Hopefully you realize the power of the Kick in the Pants Technique and are pumped to start recapturing some of those lost leads. Following this strategy, you’ll be able to laser in on some of your most highly qualified prospects. If you do it right, you should be able to acquire leads and customers very profitably. Click the button above to download the Kick in the Pants Technique Checklist and to get my bonus advanced guide on including time based interval targeting for even better results.